In the new screenshots that were also unveiled, fans can see that Noctis and crew will be able to ride chocobos, the winged mounts of the Final Fantasy series in their most realistic appearance ever. 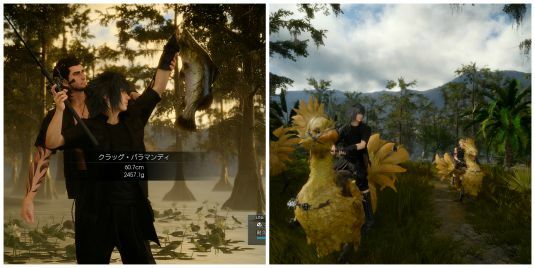 In addition to the mega-quest, players will also be able to spend time fishing and other activities which are offered as mini-games in the release. Check out the beginning of their journey, now and get ready for the release in 2016. « Bryan Singer Announces His Next Project On Instagram!! !